Join us for the 10th Annual CTO Texas Dove Hunt and BBQ Benefit on October 13th! Enjoy world class dove hunting in Hondo, Texas, while also supporting Cross Trail Outfitters. 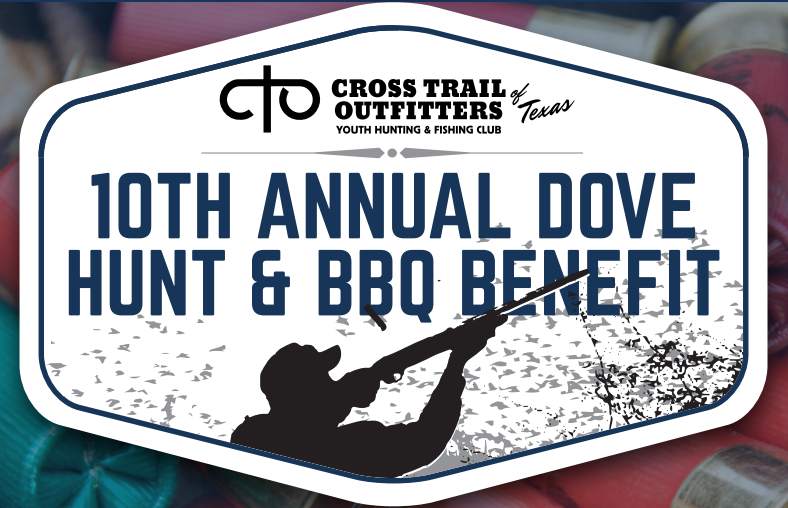 Proceeds from this event will support Cross Trail Outfitters chapters across Texas to help get more kids in the outdoors in God's creation. Along with the dove hunt, we will have a fun sporting clay competition for sponsors then end the day with some great BBQ, raffle games for guns/hunts/merchandise, and a live auction! Use the register button to the left to sign up. Dove Hunting may begin as soon as the Orientation is complete~ Hunters will need to provide transportation into the field or plan to ride with other hunters. Bring your shotgun and ammunition. Questions? Contact Kevin Potts at 210-372-3580 or kpotts@teamcto.org.